des enterrements de vie de jeune fille. 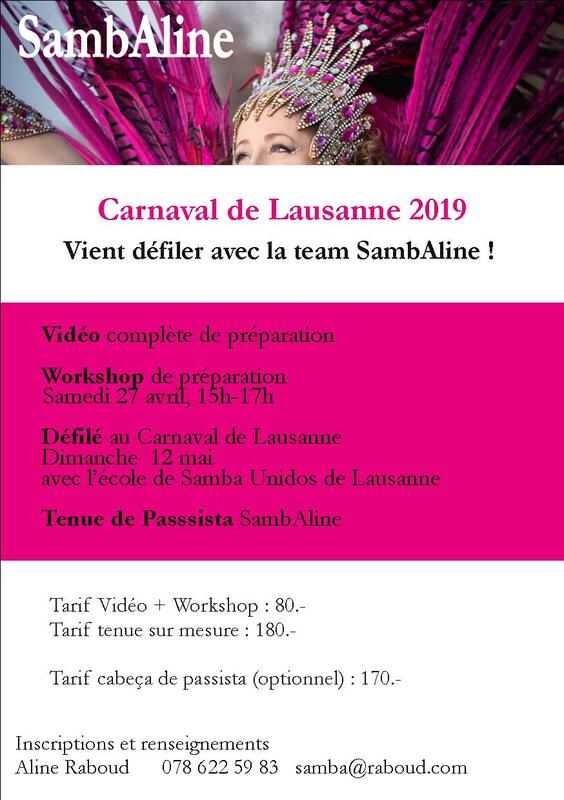 One of the most dynamic Swiss Samba dancers and teachers is coming to Zurich: Aline Raboud has completed the training of « Samba no pé » with Ana Arruda, famous dancer and choreographer of the Rio de Janeiro Carnival Parades. She has travelled to Rio countless times, performing in 2019 as passista dancer with the Samba Schools « Império da Tijuca » and, again « Unidos de Bangu ». 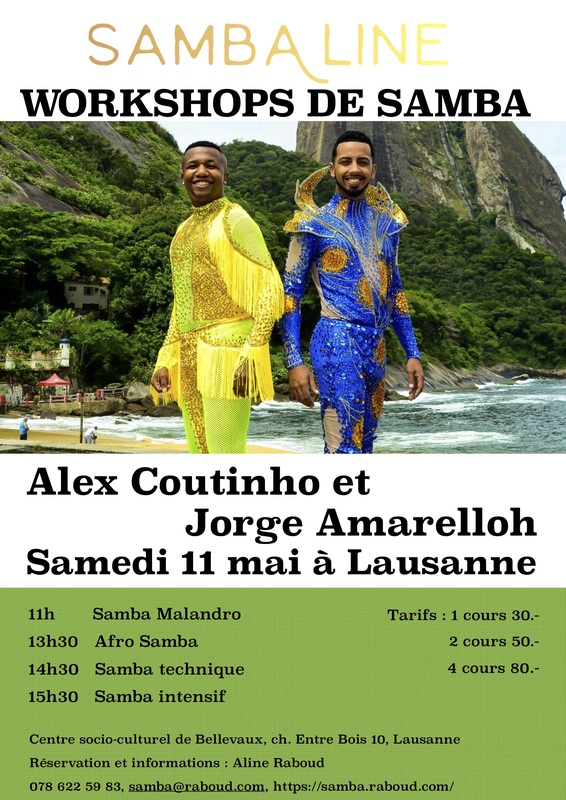 So, in April after returing from Brazil, Aline will teach very present techniques and styles from the famous Carnival in Rio de Janeiro ! Price: 60 CHF, both modules are 100 CHF.